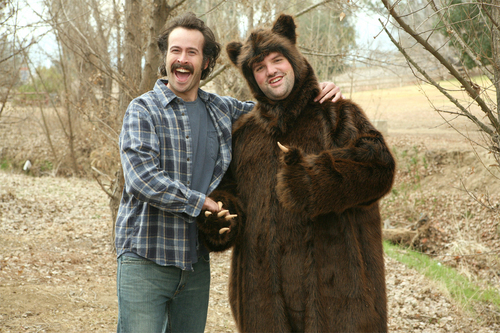 Earl & Randy. . HD Wallpaper and background images in the My Name is Earl club tagged: my name is earl earl randy bear. This My Name is Earl photo contains fur coat, fur collar, fur accent, mink, mink coat, and sable coat. There might also be fur.